This morning’s news feed delivered some seemingly excellent news for some people with melanoma. At least until now, this form of skin cancer has been considered incurable when metastatic. In the last year, we heard details about the ups and downs of ongoing clinical trials of new drugs to treat the disease. The Times reports that Roche’s experimental drug prolongs life in patients with metastatic melanoma whose tumors have B-Raf mutations. The new findings, based on a randomized phase III, open-label and industry-sponsored trial, BRIM 3, were first communicated in a press release yesterday. The company indicates that the study met its primary endpoints: Patients taking the experimental pill, RG7204, lived longer, and went longer without disease progression, than those patients in the control arm who received standard chemotherapy (dacarbazine) injections every three weeks. Since the Phase III study opened in January 2010, investigators recruited patients at numerous medical centers worldwide. According to the Roche press release, nearly subjects were randomized to receive either the experimental pill (960 mg) twice daily or dacarbazine (1000 mg/m2) by intravenous every 3 weeks. Patients continued on their assigned drug until the disease progressed or they experienced unacceptable toxicity. The most frequent severe adverse events were skin-related, including another, less-aggressive form of skin cancer, and mild, reversible liver abnormalities. The most common reported side effects were rash, joint pain, hair loss and fatigue. What I can’t find are published details, such as by how long life was prolonged in patients receiving the experimental drug. 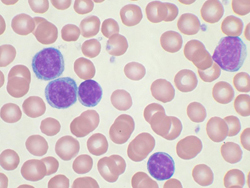 The NIH Clinical Trials site indicates the investigators aim to recruit 680 patients, and the Times indicates that since the trial opened, 338 patients were assigned to the chemotherapy arm of the trial, while another 338 received the Roche drug. About half of the 68,000 Americans who develop melanoma every year have a mutation in a gene, called B-RAF, that goes awry, for reasons not well understood, signaling cells to grow uncontrollably. The Roche drug works by blocking a malfunctioning protein the gene produces in cancer cells, but leaving the functioning proteins in noncancerous cells alone. I’m eager to see the findings, the extent and duration of remissions, degrees of toxicity, and more. This could be another good example of targeted therapy – giving a treatment that’s designed to block a known molecular defect in a tumor – that might dramatically alter the prognosis, and way of life, for some patients with malignant melanoma. But I am cautious in my enthusiasm, as the reports so far, and data interpretation, come from the company that sponsored the clinical trial and would sell the drug if approved. addendum/clarification, Aug 2011: PLX-0432 was renamed vemurafenib. The big health story of the week, headlining the business news, is that Steve Jobs, Apple’s founder and usual CEO, is taking another medical leave. This is hardly a surprising development, given that the 55 year old corporate leader has had a complex medical course since at least 2003. In August, 2004 he told Apple employees he’d undergone surgery for an islet cell tumor of the pancreas. He received a liver transplant, said Methodist University Hospital in Memphis in the spring of 2009. According to multiple reports, lately he’s been looking tired and gaunt. There’s a lot to learn from this case without delving into the private details. First, about cancer pathology – that not all cancers of the pancreas (or any organ) are the same. The NCI estimates that approximately 43,000 people (roughly half men, half women) are found to have pancreatic cancer, and over 36,000 adults will die of the disease each year in the U.S. But Jobs’ case is special: he had a neuroendocrine tumor, a kind of malignancy that can arise from hormone-secreting islet cells in the pancreas. In general, neuroendocrine tumors cause symptoms from the hormones they secrete or from local effects; a slow-growing tumor lump can press on nearby nerves, vessels or ducts. Neuroendocrine tumors, which can be distinguished from other glandular tissues by special stains and molecular tests, usually confer a relatively good prognosis. According to the NCI, islet cell tumors of the pancreas are quite rare, with estimates of between 200 and 1000 new cases per year. A liver transplant is definitely a complicated matter, with its own sets of long-term issues, needed medications to reduce the likelihood of graft rejection, and potential complications. By all reports Jobs is not interested in going public with specifics now. Still, there’s abundant speculation about his condition; when you hold a high office in a publicly-traded company, your well-being matters. At another level, some people may simply care how he’s doing. 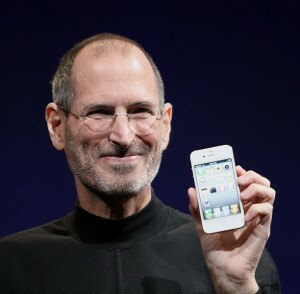 Jobs is a creative, public person who’s delivered Pixar movies and iPods and Macs, and who’s been ill in recent years. Taking a medical leave, when you care about your work and you love what you do, and you’ve invested much of your life in that, is no easy decision. I hope he gets well and feels better soon. I was almost at a loss for words today, besides having read the morning paper on the upcoming ESP study in a major psychology journal with questionable stats, and my having seen last night the first story on the British Medical Journal‘s report that completely, and maybe finally, discredits Dr. Andrew Wakefield’s anti-vaccine crusade which has caused needless morbidity and deaths in children from preventable illnesses in the U.S. and elsewhere. 3. Sometimes even educated people are so desperate for an explanation, or for a solution to a medical problem, that they’ll believe a smooth-talking scientist or doctor because they want to believe what he’s saying is true. If vaccines were to cause autism, that would give people a sense of control, i.e. a way to avoid autism. The truth is that, for the most part, we still don’t know why diseases occur in some people and not in others. Not understanding can be a frustrating, unsatisfying circumstance, because it makes us feel powerless. The Obama administration will cut a new Medicare provision to compensate providers for discussing end-of-life care, according to the New York Times. This is an unfortunate reversal. Too-often, doctors fail to have these discussions with their patients. This happens for many reasons including some physicians’ discomfort with the topic, their not wanting to diminish patients’ confidence in their healing powers, conflicts of interest (infusing chemotherapy is profitable; prescribing palliative home care is barely so, if at all) or simply being too busy to get around to the subject before a patient becomes critically ill and approaches death in an ICU setting. Most physicians need incentives to discuss palliative care options and end-of-life planning with patients in a thoughtful, not-rushed way. 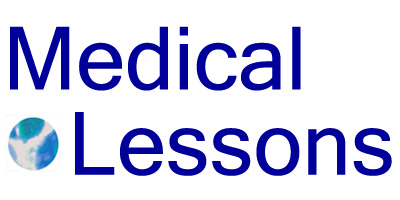 The Medicare provision, which would have provided a small amount of compensation for doctors to spend time communicating with their patients about their preferences – whether they’d want to be kept alive on a ventilator with metastatic, refractory cancer, for example, or whether they’d want to be kept alive in a comatose state with a feeding tube for weeks or months or even years after suffering brain damage from low oxygen, might have helped some people get the kind of end-of-life care they’d choose, instead of what their doctors might give unthinkingly. Earlier this month the Journal of the American Medical Association (JAMA) published a myth-busting paper on weight lifting for women at risk for lymphedema after breast cancer treatment. The study was neither large (154 patients at max, whittled down to 134 at analysis) nor high-tech (interventions involved gym memberships, weight training and lifting in neighborhood facilities like YMCAs). The results were clear: working out with hand-held weights, carefully, is good for most women who’ve had surgery for breast cancer (BC). Lymphedema, or swelling due to a damaged gland, can develop in a patient’s arm after removal of lymph nodes in the armpit. The uncomfortable condition can be disabling by impairing arm or hand movements. It affects a significant number of BC patients: among women who’ve had have just a sentinel lymph node removed, lymphedema affects roughly 6%; for those who’ve had complete axillary (armpit) lymph node dissection, the incidence is around 30%. There are roughly 2.5 million women living in the U.S. after a breast cancer diagnosis; most are at elevated risk for lymphedema. The researchers recruited women in the Philadelphia area who’d undergone surgery for localized, unilateral breast cancer sometime between 1 and 5 years before the study. Each had at least 2 lymph nodes removed in surgery. 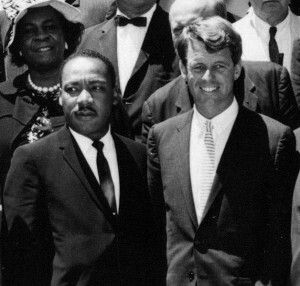 The median age was around 55 years. The women were divided into two balanced groups before randomization – they received a year’s membership at a gym and a trainer for the first 13 weeks, or not. 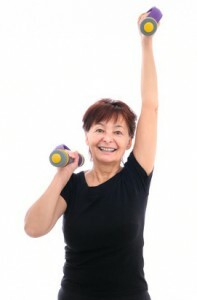 So it’s good news that the women in “weight lifting intervention” group developed less lymphedema. What’s more, those women became stronger and sported a lower percentage of body fat. All of these differences were statistically meaningful and, for the most part, quite strong. Perhaps more remarkably, in a pre-planned subset analysis of women who’d had 5 or more lymph nodes removed, the proportion who experienced lymphedema in the weight-lifting group was only 7%, compared with 22% in the controls. That difference was highly significant, with a p-value of 0.003. The findings, in sum, show that it’s safe for women who’ve had breast cancer surgery to work out in a way that includes a careful, progressive upper body strengthening. About a week ago, I was alerted to this article by Dr. Ramona Bates, a plastic surgeon who authors Suture for a Living. She’s had several recent, excellent pieces on this subject including a post on lymphedema and the JAMA report. I chose to write on this, in part, because it meshes with my professional and medical history. In my case, I got conflicting advice on the matter. I wanted to continue swimming because it helps my scoliotic back. But some colleagues suggested that arm-intense strokes might be best avoided after mastectomies. A cosmetic surgeon rightly told me that some strokes might have untoward effects on implants. So I relied on my judgment: I chose to swim because it made me feel better and stronger. In the past year, I’ve started lifting a few small weights, carefully and slowly. The Decline Effect, as Lehrer calls it, refers to scientists’ inability to reproduce reported results. The problem isn’t simple: it’s not just that different investigators or teams come up with conflicting information, or interpret the same raw data in disparate ways; over time, a single scientist may not be able to reproduce his or her own observations. Lehrer begin his story with a target loaded with potential bias and conflicts of interest – a 2007 meeting in Brussels of scientists, shrinks and pharma executives contemplating the disappointing results in recent large clinical trials of blockbuster antipsychotic drugs like Abilify, Seroquel and Zyprexa. Initial reports, mainly from the early 1990s, which supported these drugs’ FDA approval and widespread use, turned out to present a too-positive story. Later studies indicate these agents are not as terrific as was advertised; new data call into question the drugs’ effectiveness and safety. This is probably true, but it’s hardly surprising. It happens in oncology all the time – when drug companies support initial studies of new drugs with an intention to sell those, it’s sometimes the case (and unfortunately frequent) that initial reports are more promising than what really happens after a decades’ worth of less careful (i.e. more open) selection of patients who take an FDA-approved medication. Once you include a broader group of patients in the analysis, whose doctors aren’t researchers whose salaries are supported by the drug makers, the likelihood of getting truthful reports of side effects and effectiveness shoots up. So I don’t think Lehrer’s big-pharma example is a reasonable shot at the scientific method, per se. Rather, it’s a valid perspective on problems that arise when drug companies sponsor what’s supposed to be objective, scientific research. Lehrer moves on to what might be purer example of the decline effect. He tells the story of Professor Jonathan Schooler, a now-tenured professor who discovered in the 1980s that humans’ memories are strengthened by the act of describing them. The work is cited often, Lehrer says. Schooler, plagued with self-doubt about his published findings on human memory, as Lehrer tells it, embarked on an “ironic” attempt to replicate Rhine’s work on ESP. In 2004, he set up experiments in which he flashed images and asked a subject to identify those; next he randomly selected some of those images for a second showing, to see if those were more likely to have been identified in the first round. OK, are we talking science, or X-Files? I find this particular episode – both in its original, depression-era version and in Schooler’s 1990s remake – fascinating, even thought-provoking. But these don’t change my confidence in the scientific method one iota. …While acupuncture is widely accepted as a medical treatment in various Asian countries, its use is much more contested in the west. These cultural differences have profoundly influenced the results of clinical trials. Between 1966 and 1995, there were forty-seven studies of acupuncture in China, Taiwan, and Japan, and ever single trial concluded that acupuncture was an effective treatment. During the same period, there were ninety-four clinical trials of acupuncture in the United States, Sweden, and the U.K., and only fifty-six percent of these studies found any therapeutic benefits. These discrepant reports support that scientists see data in ways that confirm their preconceived ideas. “Our beliefs are a form of blindness,” Lehrer writes. In Wired he quotes Paul Simon: “A man sees what he wants to see and disregards the rest.” The point is clear. Nearing the end, Lehrer draws on and extends upon David Freedman’s November Atlantic feature, Lies, Damned Lies, and Medical Science, on the critical, outstanding oeuvre of John Ioannidis, a Stanford epidemiologist who elucidates falsehoods in published research. Re-reading these two articles together, as I did this morning, can be disheartening. “Trust no one,” I recalled. Seems like many – and possibly most – published research papers are untrue or at least exaggerated and/or misleading. But on further and closer review, maybe the evidence for pervasive untruths is not so solid. In sum, the Truth Wears Off, in last week’s Annals of Science, offers valuable ideas – the decline effect (new), the statistician’s funnel plot (not new, but needing attention) and publication bias (tiresome, but definitely relevant). The ESP story is an obvious weak link in the author’s argument, as is the article’s emphasis and reliance, to some degree, on psychological models and findings in relatively soft fields of research. Physics, genetics, molecular biology and ultimately most aspects of cancer medicine, I know and hope – can be measured, tested and reported objectively. My approach to new information is always to keep in mind who are my sources, whether those are authors of an article I’m reading or a doctor who’s making a recommendation about a procedure for someone in my family, and the limitations of my own experiences. I’m skeptical about new drugs and medical tools, but determinately open-minded. “When the experiments are done, we still have to choose what to believe,” Lehrer concludes. He’s right; I agree. Our choices, though, should be informed – through literacy, multiple sources of information, and common sense. 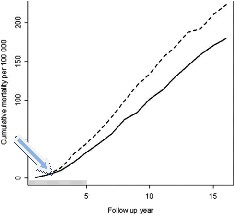 Today’s Annals of Internal Medicine includes new results for the CLOTS (Clots in Legs Or sTockings after Stroke) Trial. Not-quite acronyms aside, it’s an interesting study with implications for many patients at risk for deep venous thrombosis (DVT). This U.K.-based study, involving 3114 patients in 112 hospitals in 9 countries, used ultrasound to evaluate possible DVTs in legs of people after they’d been immobilized upon suffering strokes. Patients were randomized to receive either thigh-length or below-the-knee compression stockings while recovering in the hospital. The main result was that 98 of 1552 (6.3 %) of patients who received thigh-length stocking and 138 of 1562 (8.8%) of patients with below-the-knee stockings developed DVT. This difference is highly significant (p = 0.008). The twist is this: in a separate, extensive recent Cochrane review the investigators compiled data from multiple randomized studies of stockings in stroke patients and established that thigh-length stockings were inferior to no stockings, i.e. stroke patients who wore thigh-high compression stockings were more likely to develop DVTs than those who didn’t wear any stockings at all. The authors reconcile these separate results by suggesting that below-knee stockings might increase the risk for DVT after stroke. Confusing? Yes. The bottom line is that thigh-high compression stockings may not help, based on the Cochrane analysis; below-the knee stockings may hurt. Why this matters is that the results have implications for other hospitalized patients at risk for DVT, like people who’ve had hip replacements, pelvic or spine surgery. “Unfortunately, no randomized trials have compared below-knee stockings with no stockings,” the authors write. …The unexpected findings that thigh-length stockings are not very effective at preventing venous thromboembolism and that below-knee stockings might increase incidence of thrombosis in patients with stroke should prompt a reevaluation of the role of graduated compression stockings in other groups of patients….Clinicians need to realize that despite the ubiquity of graduated compression stockings in many settings, the net benefits and risks of this seemingly innocuous intervention remain uncertain. As a hematologist, I see this as a low-tech, big deal because DVTs are a huge source of morbidity and mortality. In the U.S., the number of clots per year runs in the hundreds of thousands. DVTs tend to arise in people who are immobilized after surgery, with neurological impairment and during travel. The elderly are particularly susceptible, as are pregnant women and people with inherited clotting dispositions. The National Blood Clot Alliance provides an interactive map of the incidence of DVTs, state by state, on its website. Personally, I love it when the doctors allow me to take off the boots when I wake up after a procedure, so I can kick my feet around and, I hope, reduce my risk of DVT by movement and exercise. 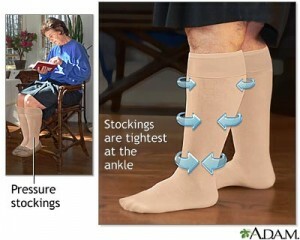 Compression stockings feel like corsets on my calves; they’re warm and constraining. On planes, too; I find stockings restrictive. My own experience aside – the data supporting the use of compression stockings are limited, and this new study suggests they can be damaging. Cholera was a far-away kind of affliction, almost an abstraction, when I first studied microbiology in 1984. The legendary, infectious scourge still affected people in places like Bangladesh or Indonesia, but was a treatable condition that, surely, would be eradicated within a decade or so through progress, if you could call it that, like basic plumbing and sanitation. The tiny comma-shaped bacteria, Vibrio cholerae, tend to thrive in brackish water, the kind that’s just a bit salty from a mix of ocean and fresh sources. These sometimes stagnant watery places crop up in river deltas, like the Ganges, and coastal estuaries such as those along the U.S. Gulf Coast. We learned that you might, very rarely, pick up a case of cholera by eating contaminated shellfish like crabs or oysters. The most common symptom of cholera is diarrhea, so rapid and voluminous that a person can die, quickly if without remedy, by straightforward dehydration. The diagnosis of cholera can be tricky, as many people are afflicted with severe gastrointestinal diseases worldwide, but most don’t have this particular, potent toxic germ. Cholera spreads by contamination of infected human feces in the water supply. The disease can afflict people who drink tainted water, who touch it and then put unclean fingers into their mouths, as children do, and who eat food prepared by those with affected hands. Dr. John Snow, an anesthesiologist and founder of public health, recognized the means of cholera’s spread more than 150 years ago in London, where he became famous for mandating the closure of the Broad Street Pump. Snow died at the age of 45, of what was said to be apoplexy, old jargon for a stroke. In 2009, there were 221,226 cholera cases reported and 4,946 cholera deaths in 45 countries, according to the CDC. Based on information put together by the World Health Organization, the case-fatality rate is 2.24%. A trend in recent years is that the overwhelming majority of cases, roughly 99 percent, are reported in Africa. According to the 17th edition of Harrison’s Principles of Internal Medicine, there have been seven global cholera pandemics since 1817. 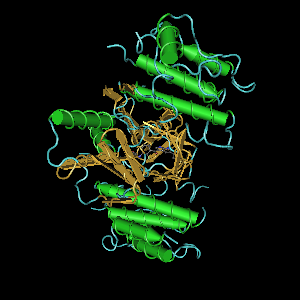 The current rage, attributed primarily to the El Tor biotype, started in Indonesia around 1961. That strain spread, eventually, as far as coastal Peru in the early 1990s. 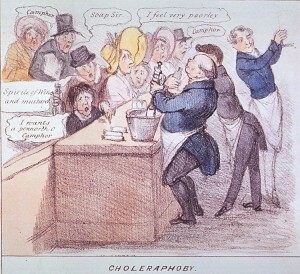 There have been no cholera epidemics in North America since the middle of the 19th Century. What’s happening in Haiti now is the real deal, says the CDC. Thousands are infected, mainly in towns along the Artibonite River, which squiggles on the map and in real terrain through the western section of Hispaniola, north of Haiti’s capital, Port-Au-Prince. Among other concerns are the vast numbers of people living without toilets in tent cities and slums outside of the capital, especially since an earthquake devastated the region last January. The CDC offers some very practical tips for people who live or travel in areas where cholera is endemic. Most people who are exposed to cholera and survive become immune, although infectious strains vary and immunity may not be long-lasting. In the U.S. there is no available vaccine for cholera, according to the CDC. Treatment consists primarily of giving electrolyte solutions, for rehydration, and antibiotics in some cases. Now, the mortality rate from cholera in Haiti is running just under 10 percent, according to today’s news. Hopefully, doctors from MSF and other agencies working in the region will get this epidemic under control. But already it’s clear that hundreds of lives have been lost to an illness that it seems should have been eradicated long ago. This week it seemed at least half the world was captivated by the uplifting story of the Chilean miners. The 33 men – mainly middle-aged and of modest means – zoomed up in high-tech capsules from the deep, would-be tomb where they’d been waiting for 69 days underground in the southern Atacama, not far from the industrial, northern Chilean city of Copiapó. The amazing and nearly-too-good-to-be true news is that a top-notch team of engineers, doctors including the NASA/Johnson Space Center Deputy Chief Medical Officer, nurses, psychologists and others pulled off this fantastic rescue by which each and every one of these real men were delivered to Camp Hope (Esperanza) a tent city swelling with media and enthusiastic politicians, clergy, miners’ families and, presumably, support staff – cooks, washers and others who helped people there cope with the situation. It’s inconceivable that any human with a heart would not be gladdened upon learning of the miners’ safe arrival – all more-or-less in good shape, no less – on firm ground. A rabbi said this of the affair: we too-often take this world for granted; but after their ordeal in the darkness, the Chilean men kissed the earth and thanked god for simply returning them to what they’d had before – a place filled with sunlight, air, loved ones, friends, food, music and, well, everything they had and have again. So there’s a religious message here, if you’re open to that. At the same time, an atheist would see clear evidence in this fantastic episode for the power of humans and science, technology and coordinating resources. The medical issues are rich, including: risk of fatigue and dehydration in an inescapable, 90 degree hot and humid environment; vitamin deficiency and possible eye damage upon exiting, from lack of sunlight; lung problems from metal dust exposure; infections like pneumonia, potentially shared in a small communal space or gut-related, if hygiene is poor and human waste is not stashed properly; emotional downers – like fear and depression – may affect men who don’t articulate those sorts of concerns. Some environmentally-minded thinkers point out that this true tale isn’t representative, reducing the story like this: “For every miner who was rescued before the cameras this week, more than 400 others will die this year.” Indeed, the International Federation of Chemical, Energy, Mine and General Workers’ Unions, estimates that worldwide, approximately 12,000 miners will lose their lives this year, while on the job. They’re right, I know – mining is a risky, under-regulated occupation. Nonetheless, I’m thrilled by this remarkable story, at two levels: first, that the “patients” are all right, and second – what’s even more awesome – is that people around the world cared so much about the miners’ well-being. I’ve been wondering what if the outcome hadn’t been so successful. The news coverage would have been less intense, and the President of Chile would have had more difficulty maintaining his political position, and maybe there’d be more regulation of copper-mining in the future. Still, it would have been OK, good and maybe great, I think – even without the happy ending – that the engineers and international top-docs with their expertise, and miners’ families and lovers’ with their food and good cheer, did everything they could. The outcome matters, but so does the effort, in itself. If we don’t as much as offer care to humans who need it, there’s little chance they’ll get better. This news is about health care, delivered. So the next, logical question is this: Can we take this up to another level by providing high-quality, coordinated care to every group of 33 patients with a guarded prognosis, and do whatever it takes to make them well using existent technology and medicines? This story is a fantasy, as much as it’s real.